Keltruck displayed three vintage vehicles at the ‘Help for Heroes’ Action Day held at Throckmorton Airfield, Pershore, Worcestershire last Sunday [13/06/2010] as part of the Throckmorton Air Show. Keltruck Account Manager Tony Biddlestone; Business Development Manager, Ross Hill; Marketing Executive, Ginette Maiden and her husband and Keltruck Technician, John Maiden managed the stand for the day at the event. John Maiden had taken the Scania LB81 and Scania LB110 Super to the event on a low loader pulled by the third vehicle on display, a Scania R143M Streamliner. 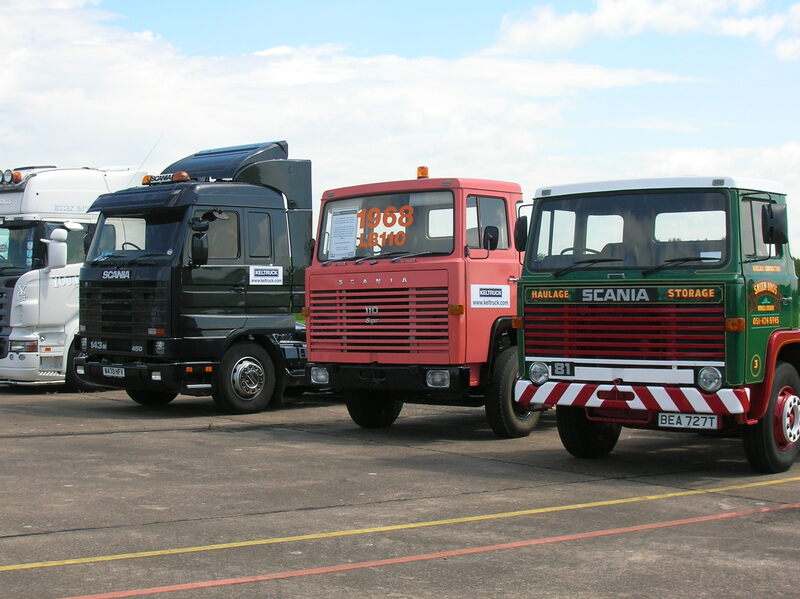 The vehicles were collected the day before from the Keltruck Willenhall branch which boasts a showroom where the two vehicles are kept on display for customers and people with an interest in these types of historical vehicles. As well as the three vehicles from Keltruck, next to the stand was a line up from Scania Great Britain Ltd who had taken two fire appliances an Asda tractor unit as well as Keltruck and Scania customers such as Countrywide Farmers, Coles Transport, Sean Taylor, Charles Russell Machinery Transport and Aylestone Transport who displayed their fabulous customised vehicles. So when people had taken the time to meet the people and look at the trucks on display, there was more to offer. West Mercia and RAF Police Dogs and Handlers displayed their training, West Midlands Police Pipe Band played throughout the day entertaining the passing visitors. There were Various Military and Police Vehicles to see through the day including a rather interesting Hereford and Worcester Fire and Rescue Crash Demo. Several aerial displays passed overhead and parachute freefall teams performed whilst displays from the Royal Marines Display Team and the Army Bomb Disposal Squad could be seen on the ground. The Police Helicopter had made an appearance as well as the air ambulance. Finally famous faces from TV police programmes “Road Wars” and “Traffic Cops”. 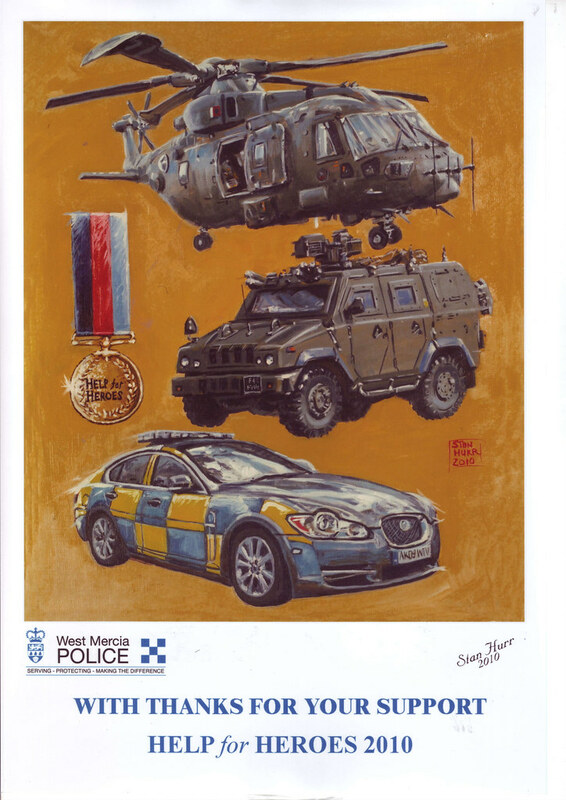 PC Angus Nairn was originally the driving force behind Keltruck placing the exhibition there on the day following a request for Keltruck to advertise the event to local customers who in fact sent many people along to the festivities. Photographs from the weekend can be found at keltruck.com/flickr. For more on Keltruck’s support for Help for Heroes please visit keltruck.com/helpforheroes.